The United States District Court, Central District of California (“Central District”) is one of four federal judicial districts serving California. 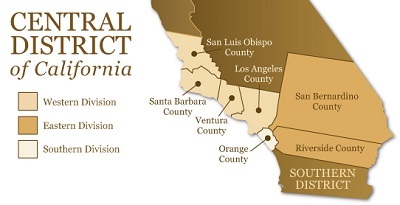 Covering nearly 40,000 square miles of Southern California, the Central District serves seven counties and a rapidly growing and diverse population of almost 19 million people – nearly half the population of the state of California. The Central District is comprised of three divisions located in downtown Los Angeles, Santa Ana, and Riverside. Approximately 14 percent of the Central District’s total civil filings are filed by non-prisoner pro se litigants. In furtherance of its mission to provide equal justice under the law to all, the Central District established federal pro se clinics at each of its three divisions to assist self-represented litigants. The clinics are primarily funded by the Central District’s Attorney Admission Fund, which consists of attorney admission fees and investment income. Each clinic is administered by a non-profit law firm, not by the Central District. The clinics are staffed by lawyers and offer free, on-site information and guidance to individuals who are representing themselves without an attorney.